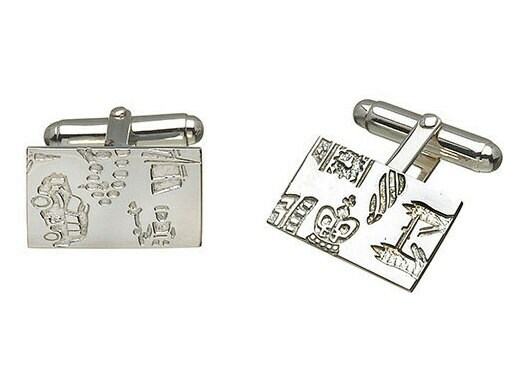 These Cufflinks are embossed with iconic symbols of London; Big Ben, Beefeater, St Paul's, Tower Bridge and others. 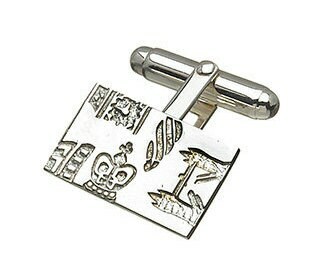 Size 20mm x 12mm gift boxed with story card. Every city and country we spend time enriches our lives. Whether it's where we fall in love, meet our long lost relations or get our first paycheck! In these days of Global travel it is important to remember our roots and the places that have shaped who we are. Iconic London Jewellery uniquely captures the essence of London. 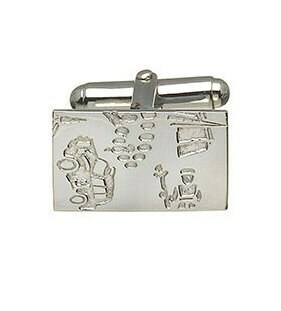 Historical buildings and bridges, together with a vibrant modernity are depicted in our jewellery. Our collections, Hyde Park, Piccadilly Circus, Trafalgar Square and the London Tube, reflect atmospheric London.